Segment Overview: Dr. Haselhorst discusses his new booklet, Is Palliative Care Right for YOU? 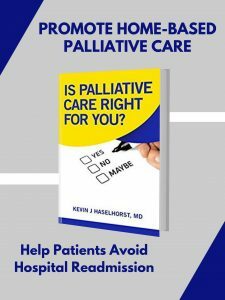 Palliative means “cloak” or “protect” a person; this is applicable when a person has not had his/her healthcare situation managed, they end up in the emergency room at some point, and how do you manage chronic illness. Listen to the interview below or check it out on Cypress Home Care Solution’s website.